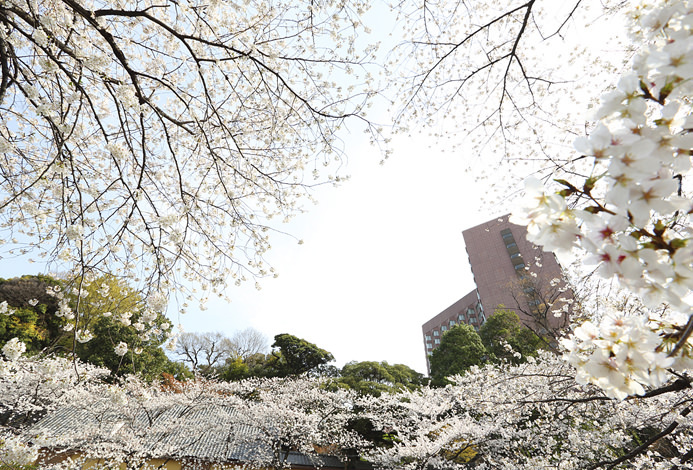 Admire the greenery of Hamarikyu at noon and the glittering panoramic view at night. Although located in the city, it's separated from the hustle and bustle and boasts a spectacular panoramic view of Tokyo. 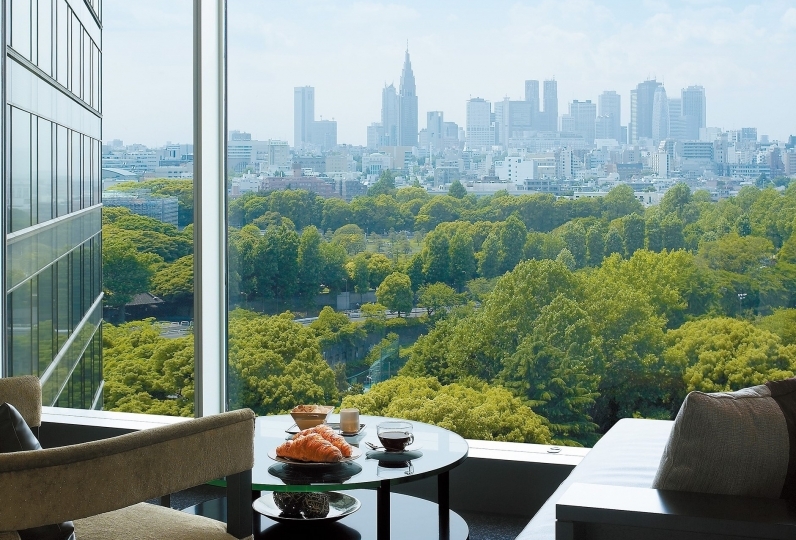 Experience our world class service and sophistication at the Conrad Tokyo. 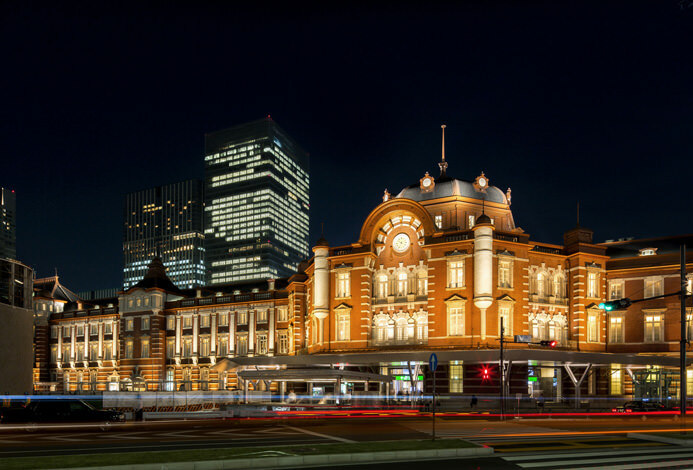 We are walking distance to Ginza and are close to the many businesses and sightseeing areas of Tokyo. Step inside this escape from the every day grind. The modern Japanese design combines with the art to give the interior a refined charm throughout the building. 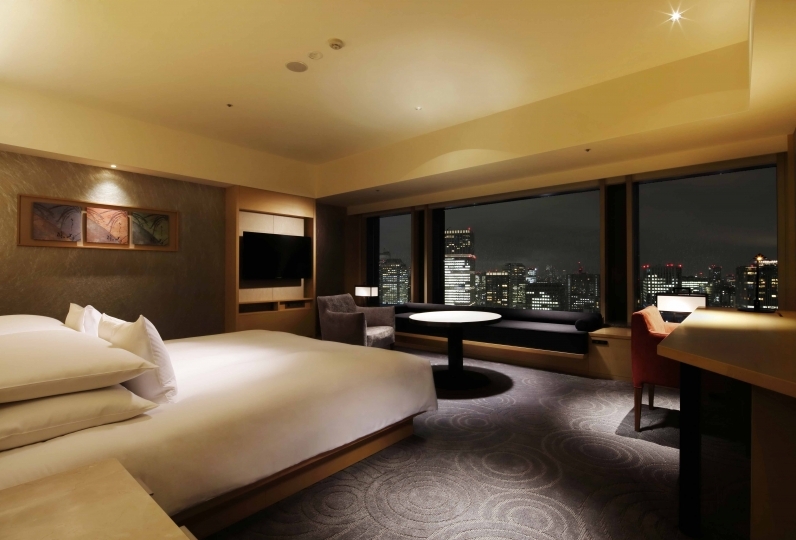 You can even enjoy a view of Tokyo bay and glittering skyscrapers from every room. Let your hair down in the city's top class rooms with such features as a 3 meter ceiling. 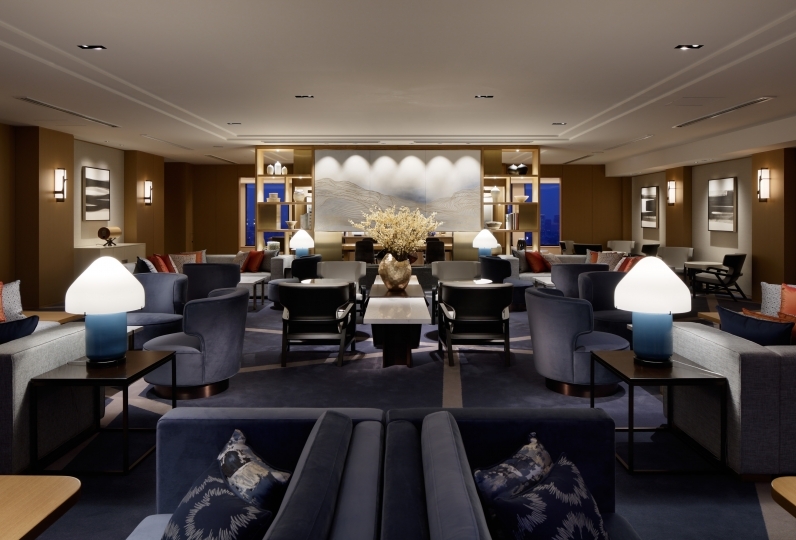 The Conrad Tokyo has four restaurants and one bar and lounge. A variety of dishes curated by our chef were inspired by art and use seasonal ingredients. Taste the blend of wine selected by top sommeliers and carefully selected ingredients. The building is also outfitted with relaxation facilities. Mizuki Spa & Fitness offers customized treatments. The fitness area has an indoor pool, the newest workout machines, and a jacuzzi. Have a first-rate stay where the service is well-honed skill. I am indebted for two days. This is my third stay, but I had a very disappointing experience this time as it was a very nice stay. I stayed in a city suite on the executive floor. I went to the lounge to ask for a turndown when I was not able to ask for cleansing and lotions. When I returned to my room and checked, it was a day spent. Amenities used in the hotel come out .... I was worried about using cups and towels when I thought that I used lotion and so on. Also, despite staying for 2 nights, slippers are not replenished. It was also my first time not to refill my slippers when staying overnight in Tokyo. Though there are two rooms, it is inconvenient that tissue is only in the bathroom. I had a very wonderful time until the last time, so I felt very disappointed. It has been my second stay since I bothered you once in a while as I was able to do. Last time we enjoyed the scenery from the room very much, we liked the hotel's smell, the taste of breakfast, the service of the hotel man, and this time we stayed at our 1st birthday as a memorial. First of all, we checked luggage and checked in lunch before check-in and we could check it in the room, but after that we checked in in the evening and when we arrived at the room, there was no baggage. It took quite a while before baggage came, so I did not have decorations for celebration and children's luggage, so I was in trouble. The attitude of the person who brought us was not a good thing, brought the gift that the husband had previously sent at the surprise back to the interior in quite a while, such as a wasteful story, a thing like a reservation of a hotel restaurant reservation etc. I felt like this person. The view from the room, atmosphere is still the best, and it is pleasant to be able to watch while entering a big bathtub. About cleaning, I knew that the refrigerator was dirty with something like jam and I knew it was a family with a small child, but I came at 20:45 on cleaning before going to bed I was surprised. When I was having breakfast, I was kept waiting considerably for the preparation of the seat. I wanted a small child to hug and take it early. But breakfast was very delicious, kind was rich and the best. I feel that the taste and kinds are higher than Conrad of Osaka. Overall, I feel that the service and correspondence of small staff have fallen compared to the past. The feeling of lodging at the superior first-class hotel was not felt so much and it was a little disappointing stay. I was able to stay with my 7-year-old son on winter break. Thank you very much for your kind duty manager Mr. Yamauchi who was in charge at check-in. My son was delighted as he got his opponent to pay attention to his young son. Very beautiful room with a beautiful view, I was satisfied with the beautiful room. The breakfast was also rich in type and ate too much, but it seems that the staff members also enjoyed the son gently. In addition, I definitely want to stay. I had a wonderful memory. Thank you very much. Choose the restaurant that best fits your personality. Experience the lively and dramatic atmosphere in four restaurants such as Collage, which was awarded one star in the Michelin Guide, and a bar lounge. 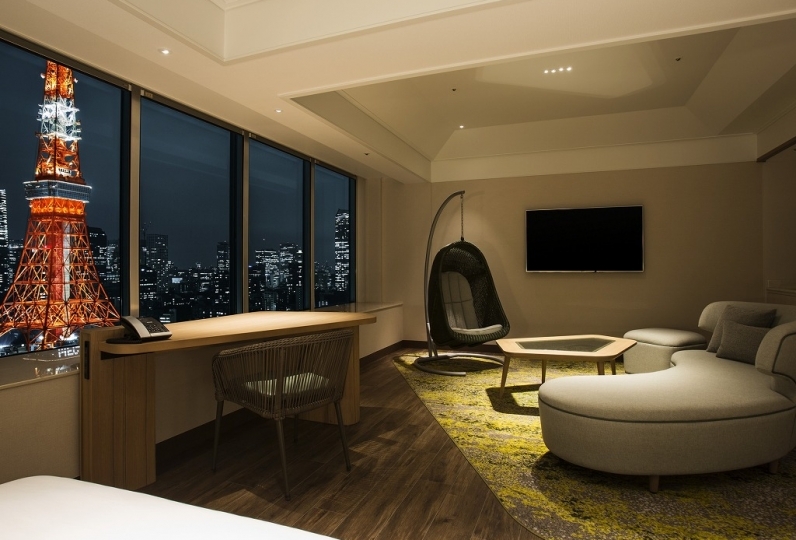 Located on the 28th floor you can view the Shiodome area from the 7 meter window. This modern French restaurant uses techniques from various countries in its open kitchen and has a modern interior. Award winning chef, Albert Tse, brings a fresh approach to Cantonese-based Chinese cuisine. On holidays, we offer Free Flow French of Shaoxingjiu and other drinks. Appreciate the contemporary surroundings while dining on sushi, multicourse kaiseki, and teppanyaki. The restaurant has a view overlooking the bustling Hamarikyu Garden and Tokyo Bay. This relaxed, all-day dining restaurant offers a wide selection of salads, soups, sandwiches, pasta, steak, and desserts. Located on the lobby floor, whether you're having a lunch meeting or enjoying the live music in the bar, you can find a place that suits your needs. We also offer a charming afternoon tea on the 28th floor. Spend your afternoon of elegance with a panoramic view of Tokyo Bay. We provide various business support through our long-stay guest relations officer. We offer customized treatments suitable for guests using various products such as treatments for men and Japanese-made material. The fitness area has a 25 meter indoor pool with an ink painting motif. It also comes fully equipped with the newest workout machines, a studio, a sauna, and a jacuzzi. This is the optimal place to de-stress and maintain your fitness. 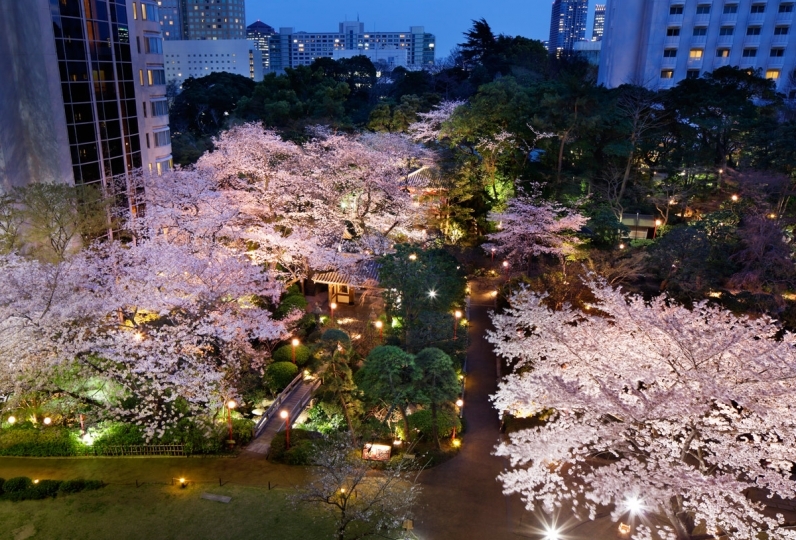 The Conrad Tokyo's service philosophy is called 'Silent Symphony.' Like an orchestra, through rehearsal and excellent teamwork the staff is well prepared to welcome the guests. 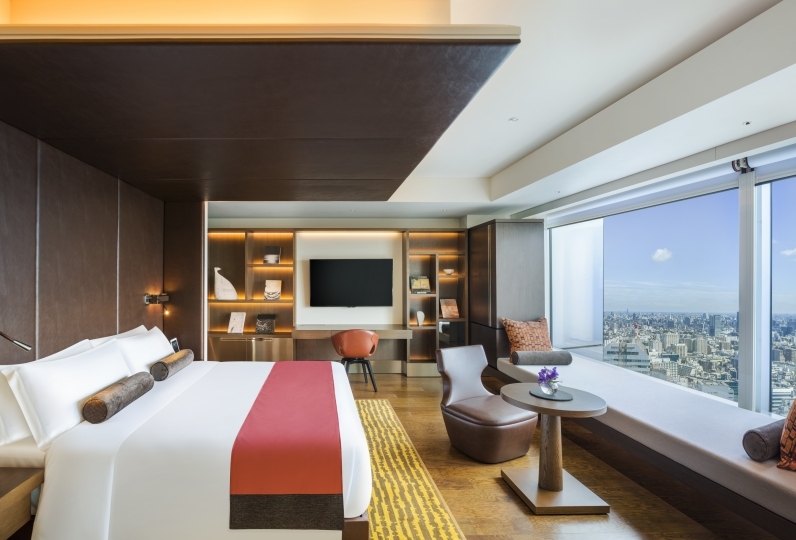 The stylishly modern Japanese design makes for a luxurious stay at the Conrad Hotel. 78 of people have viewed this page within the past 24 hours.